The landscapes of the southwest challenge photographers to create images that avoid reducing the scenery to a cliché or a postcard picture. Working in and around Zion, Bryce, Grand Canyon, and Grand Staircase-Escalante has shaped my artistic philosophy. I’ve come to believe that the camera simply cannot accommodate the scale and magnificence of the landscape, so I aim to create a more intimate view and capture those fleeting moments that give the land its spiritual quality. In short, I am seeking the essential landscapes. I love to work with the more abstract elements in the natural world, to focus on the subtle aspects of a particular landscape, instead of the purely representational “big picture.” This is where I find the fundamental nature of a place. While the southwest is wonderfully colorful, it is also full of marvelous textures and patterns. Millions of years of upheaval and erosion have left a variety of shapes and textures. I like to explore these natural compositions as well as the grand vistas. When all is said and done, if my images touch a viewer, draw him or her back for a second look to pause and contemplate, I think I have been successful. A native of Salt Lake City, David Pettit has lived in Springdale since 1980. David comes from a family of visual artists; his interest in photography was ignited when, as a small boy, his parents gave him a Brownie camera. 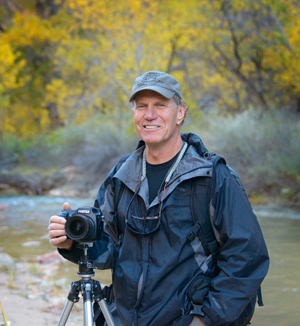 He has worked as a professional photographer since 1977, starting out with portrait and commercial work, and eventually moving into landscape photography. David devotes most of his time to scenic photography, and his award-winning scenic photographs hang in private and public collections around the world. 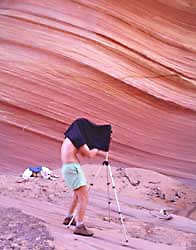 His images of Utah’s national parks, wilderness, and remote areas have appeared in major publications. 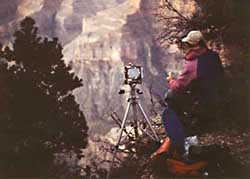 Pettit also conducts workshops focusing on landscape photography. Pettit has shown his work at the University of Utah Photography Exhibit, the Nora Eccles Harrison Museum at Utah State University, the Braithwaite Gallery at Southern Utah University, where he received the 1988 Southern Utah Invitational Art Exhibit "Purchase Award"; and the Dixie College Invitation Exhibit, where he has won "Best of Show" (1989), and "Best Landscape" (1992, 1993, & 1994). He has won the "People’s Choice" Award at the Annual Staircase Gallery Photo Exhibit in St. George, Utah in 1998 and 1999. His previous one-man exhibitions include the Nicolaysen Museum in Casper, Wyoming, the Springville Art Museum in Springville, Utah, the Driftwood Gallery in Springdale, Utah, the Braithwaite Gallery in Cedar City, Utah, and the St. George Art Museum in St. George, Utah. 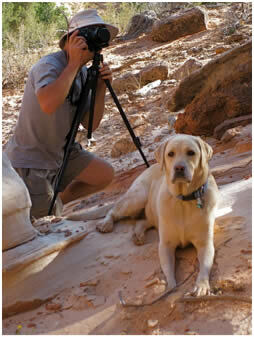 Pettit has conducted workshops focusing on landscape and environmental photography with Canyon River Company. His work may be seen at the LaFave Gallery in Springdale, Utah, U.S.A.